The deceased has been identified as Sushil Chauhan, a resident of New Usmanpur. A case has been registered and the matter is being probed, the police said. 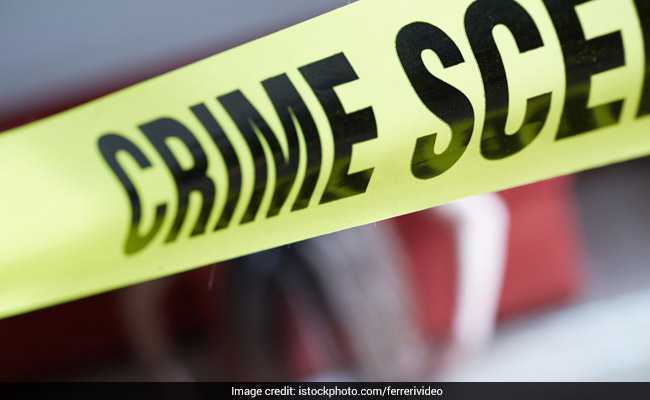 In a suspected case of road rage, a 34-year-old man was allegedly shot dead following a quarrel after his car collided with a scooter in Shahdara's Geeta Colony area, police said on Monday. The deceased has been identified as Sushil Chauhan, a resident of New Usmanpur, they said. Police said the incident took place at around 11.30 pm on Monday and they were informed about it the deceased's friend Karthik Kashyab who was also present there. Mr Chauhan was returning home with his friends after having dinner at a restaurant in Geeta Colony. When they reached near Geeta Colony flyover, their car collided with a scooter while taking a turn, a senior police officer said. An argument erupted between them after which the scooter rider open fire at Mr Chauhan and fled from the spot. Mr Chauhan sustained a bullet injury in his thigh, the officer said. Mr Chauhan was rushed to Lok Nayak Jai Prakash Narayan Hospital by his friends where he was declared brought dead by the doctor. He died due to the excessive bleeding, the officer said. There were six persons in the car including three women. As of now, it is a suspected to be a matter of road rage and no personal enmity angle was found, Meghna Yadav, Deputy Commissioner of Police (Shahdara) said. A case has been registered and the matter is being probed, the officer said. Police said no CCTV footage was found installed near the spot. However, the other occupants of the car did not sustain any injury. The statement of the victims have been taken. The victims have alleged involvement of two men in the attack, police said. The body will be handed over to the family members after the post-mortem. The deceased Mr Chauhan, a tailor by profession was survived by his wife and a daughter.